An open source, progressive web app for the Pomodoro Technique using Vue, Vuex and Firebase. 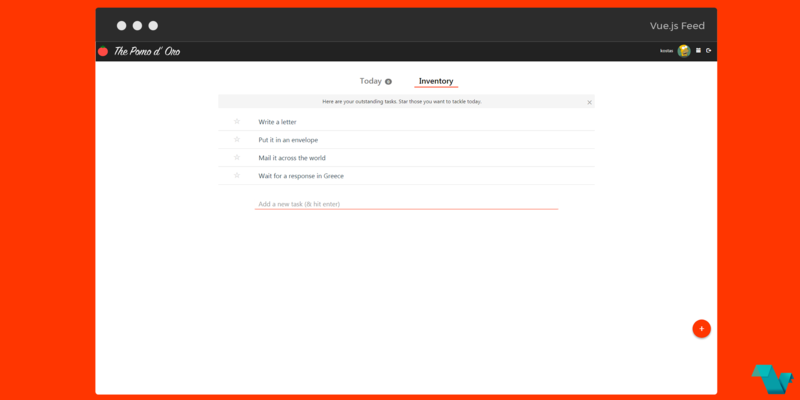 Essentialy you can add tasks to your invetory and choose those you want to complete today. You can click the tomato icon to add completed pomodori. 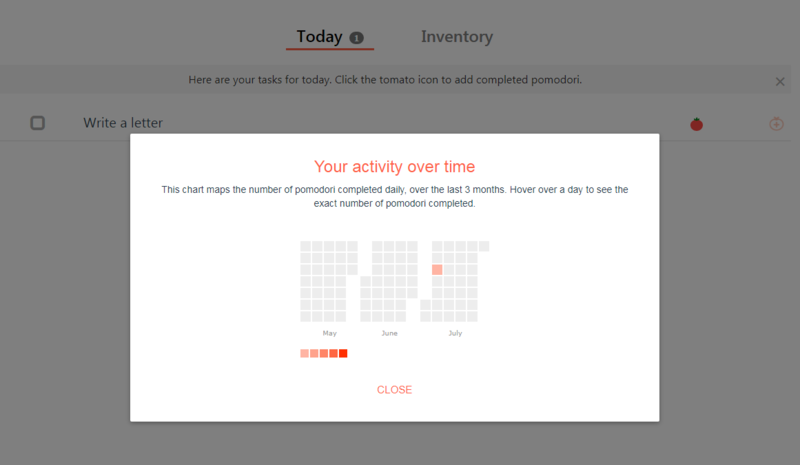 There is also a chart which maps the number of pomodori completed daily, over the last 3 months and you can hover over a day to see the exact number of pomodori completed. If you are interested in how things work, check the source code available at GitHub. Created and submitted by Yorgos Panzaris.